If you like Indian/Malay food, you should come to this place. This restaurant are always pack and hard to find a seat, but the food is very nice and tasty. It's worth a little wait. Their specialties? Well it is their Tandoori Chicken which i have been waiting for a long long to get the chance and eat. 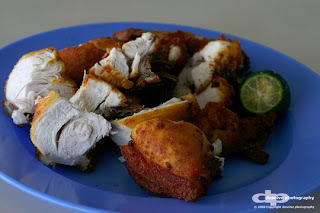 Add in the lime juice and it just maximized the flavour of the chicken. Although it is a bit dry but its softness and terderness making you wants for more! Another best dish recommended by my fellow friend is their Roti Canai dipped with condensed milk!!! 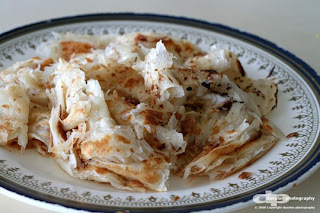 Roti Canai is freshly done as per order and serve while it is still hot. The outer layer is crunchy while the inner layer is soft and smells great. Eat with condensed milk and it is one of the perfect combo! Try it to believe it. 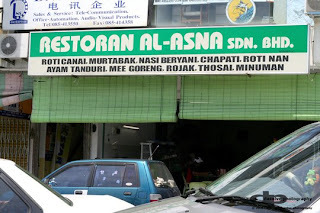 They do also serve other kinds of dishes like murtabak, Nasi Briyani etc etc. Mark it down on your diary and go there at your convenience! Ahha! 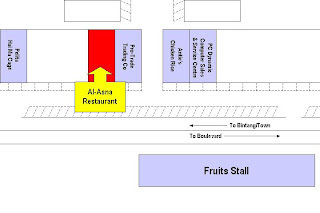 If I'm not mistaken, my friends address this makan place as Bismi (maybe previous name?). It's thosai is a MUST, esp. thosai massala. Finger-licking goodies! Yumm yumm! Ooooooo issit? why my friend who work next door did not tell me about this...... must question him when i see him! heheh Thanks!